Peeling or flaking paint near a water source. 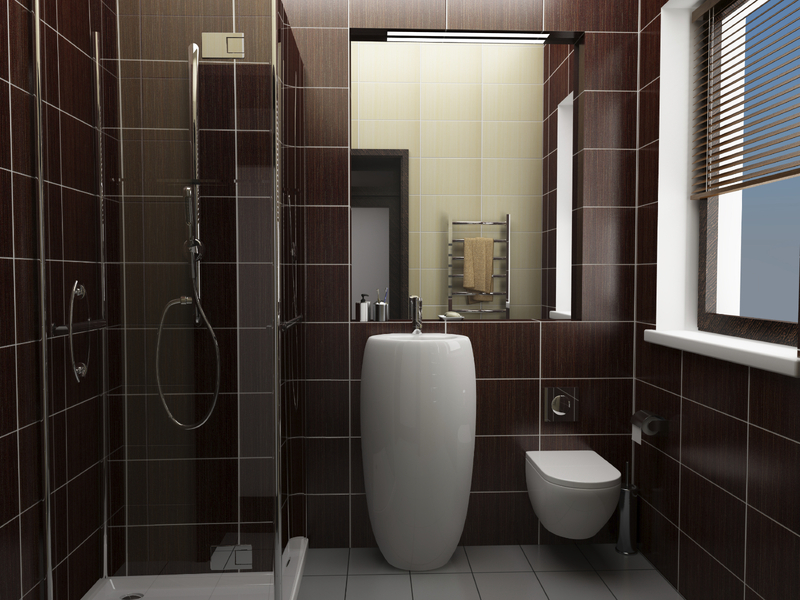 Even a small opening provides an opportunity for water to make its way in behind the tiles and fixtures and potentially cause large amounts of damage to your home, so whether you’re resealing a gap in your shower, around your bath, sink, splashback or drain it’s important that you get it right the first time. Sikasil CAP silicone sealant provides a guaranteed watertight seal between almost all surfaces that you would find in a kitchen or bathroom making it perfect for use in all the aforementioned applications. 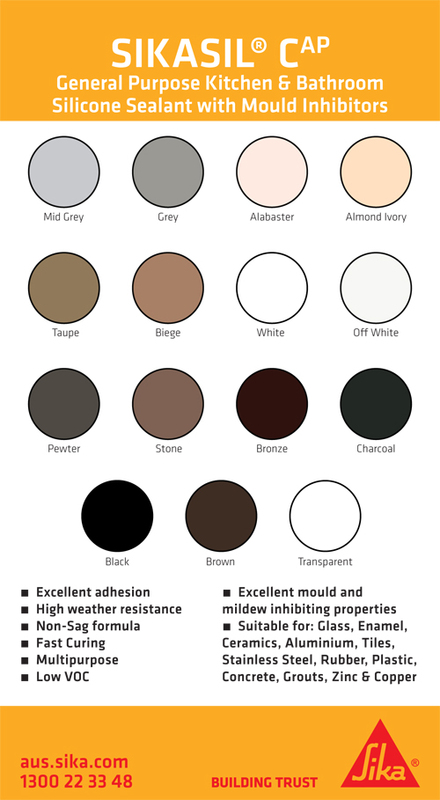 Sikasil CAP has a long shelf-life as well as excellent mould and mildew inhibiting properties and comes in a huge range of 15 colours, ensuring that no matter what your bathroom colour scheme, Sikasil CAP will compliment it perfectly. If there is existing silicone, remove it completely by using a sharp stanley knife or razor blade. Apply tape to both sides of the gap. This provides a neat finish to the seal and makes it easier to clean once the silicone has been applied. Following the instructions on the cartridge, cut the cartridge seal and nozzle and place cartridge into suitable caulking gun. Hold gun at 45° angle with nozzle in contact with both joint surfaces and gun Sikasil CAP into the joint. If covering a large area, be sure to work in sections that you can complete before the silicone starts to skin. Before the silicone skins, smooth off with a small spatula and then finish the seal by wetting your finger with some water that’s been mixed with a small amount of washing detergent and run it along the freshly applied sealant towards you, forcing the silicone into the corner gap and smoothing the silicone surface as you go. Remove excess sealant immediately with a cloth dampened in mineral turpentine. Once the silicone has the smooth finish you’re looking for, remove the tape, lightly run you soapy water coated finger over the sealant to remove any sealant edges left when the tape was removed and you’re done. Whether it’s around your sink, bathtub, splashback or in your shower, Sikasil CAP provides a high quality seal for any application in your kitchen or bathroom. Sikasil CAP is available from Bunnings, Mitre 10 or any good hardware store around the country. Excellence!! Thank you for tutorial! this is very useful information especially for those never had leakage experience before! But there are various type of Sealants, #PolyurethaneSealant, #SiliconeSealant, #MSPolymerSealant, etc…. There’s most definitely a wide range of different sealants that can be used depending on the application however we would definitely recommend Sikasil CAP for almost all general applications in the kitchen or bathroom. Hi, I used sikaflex to seal the grill of the shower drain, and I was wondering for how long do I have to wait until I can use the shower again? in other words, how long until the sikaflex can get in contact with running water? Given Sikaflex is a moisture curing sealant, it’s curing time is dependent on the temperature and the moisture content of the environment. We would usually recommend not using the shower for at least 48hrs however if you’re in a slightly drier location, we would recommend leaving the Sikaflex for 72hrs before using, just to be sure.